Henry Newman, the principal in Henry Newman & Co., was an importer of tailors' trimmings and clothiers' supplies. It may have been the news that the New York Mercantile Exchange was looking for larger headquarters that prompted him to embark on a construction project in 1882. In January of the previous year J. H. Mahoney had purchased at an executor's sale the two old buildings at Nos. 628 and 630 Broadway, between Houston and Bleecker Streets. The price he paid, $111,200 (around $2.7 million today) reflected the influx of commercial buildings along this section of Broadway. The building, completed in 1883, would have been little different than scores of other cast iron fronted buildings were it not for its eye-catching, unique ornamentation The Aesthetic Movement was taking hold in America, appearing mostly in furniture and artwork. The movement stressed natural motifs--birds, flowers, and leaves, for instance--and Far Eastern influences. H. J. Schwarzmann & Co. took it from the drawing room to the facade of Newman's building. The engaged columns of the ground floor storefront, along with those on each of the succeeding floors, took the form of bamboo poles. Recessed panels on the side piers at this level were incised with stylized leaf designs. Applied cast iron flowers to the side were slightly offset from the panels. The remarkable decoration continued at the second and third floors with thin palm trees and clumps of calla lilies. The trees terminated in just two fronds. Like the cast iron plants on the third and fifth floor piers, the palms and lilies no doubt once sprouted from a now-lost cornice. A decorative cornice once upheld the now-floating palm trees and lilies at the second floor. The filigree panels forming Moorish-type arches that framed the top story openings were almost assuredly repeated throughout the lower floors. One can easily imagine the overall delicate and lacy Asian appearance they created. Newman had the architects incorporate the name "The New York Mercantile Exchange" into the cast iron facade. And, indeed, that group did temporarily lease space on the second floor for offices and showrooms. 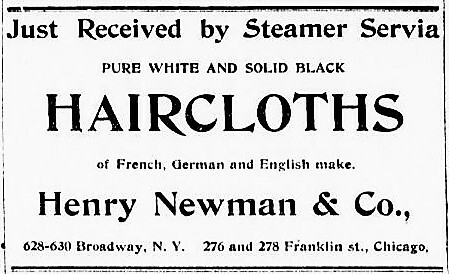 Newman moved his own business into the building, sharing the third, fifth and sixth floors with Cohn, Ball & Co., makers of boys' and men's clothing. On the fourth floor in 1884 was clothing merchant L. Clark, and the two street level stores were home to Joseph W. Lester & Co., a hat shop, at No. 628 and I. Oberndorfer & Co.'s "gentlemen's furnishing goods" at No. 630. Just after 4:00 on the morning of August 19, 1884 fire was discovered on the fifth floor. Firefighters had the blaze out within an hour, but the damage was significant. Both Cohn, Ball & Co. and Henry Newman & Co. had their new fall and winter inventory stored there. The New York Times reported "When the firemen entered the building the upper floors were so filled with smoke that it was impossible to move about until the skylight on the roof had been smashed and the front windows on Broadway had been broken out." Although the fire was confined to the fifth floor, as was often the case with 19th and early 20th century fires water damage was severe. Joseph W. Lester & Co., for instance, lost $4,000 in ruined hats, and I. Oberndorfer & Co. suffered $5,000 in losses. The pressed frieze of leaves below the cornice reflects an Aesthetic Movement motif. The filigree frames of the upper floor windows, almost assuredly, continued throughout the facade. The building was repaired and the former Cohn, Ball & Co. (by now renamed Ball & Co.) celebrated is grand reopening in March 1886. The fire may have ruined Newman's plans for a long-term tenant in the New York Mercantile Exchange, however. It completed its own building on Harrison Street that same year. Ball & Co. had expanded, now taking several floors. The New York Times called it "an immense store," and noted "down stairs is their retail department and up stairs the manufacturing is done." The firm touted its "new and spacious stores" as having "the largest stock of fine clothing for men, youths and boys ever exhibited in this city." Men's spring overcoats, "made of meltons, cassimeres and corkscrews" were priced at between $6 and $12 (a reasonable $316 today for the most expensive model). Later that year Ball & Co. launched a clever marketing scheme. For every purchase of $15 or over the customer would receive a Limoges clock. On November 24, 1886 The Times commented "These clocks are really good time-keepers." Other tenants in the refurbished building were clothing firms of Leo Schlesinger, Vanderhoef & Co., Rindskopf & Barbier, W. Hillman & Co., J. Klee & Co., Joseph Rosenthal, and Charles Simon & Co.
Tragedy repeated itself on July 2, 1887 when fire broke out again. This time total damages to the various tenants amounted to $130,000 and it was apparently the last straw for Ball & Co. The firm did not return to Nos. 628-630 Broadway. Henry Newman's tenant list slowly reflected the migration of the millinery district from south of Houston Street. In 1888 William McElhinney & Co., milliners, was in the building, as was Henry Zeimer & Co., "importers of artificial flowers." 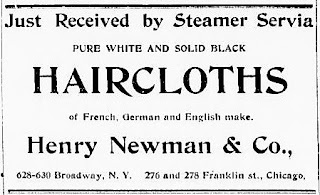 The apparel industry was stunned when Henry Newman & Co. declared bankruptcy in May 1894. The Clothier and Furnisher reported that the announcement "produced an immense sensation throughout the trade, and expressions of sympathy with the defunct firm could be heard in every quarter of the market." J. H. Mahoney still owned the building. He died in 1901 but his estate continued its management. In April 1901 I. Isaac & Co., "neckwear manufacturers" moved in. Then in 1902 the entire building was leased to The New York Millinery & Supply Company. Negotiations for that lease were most likely the cause of the $3,000 in alterations the Mahoney estate made on the building that year. 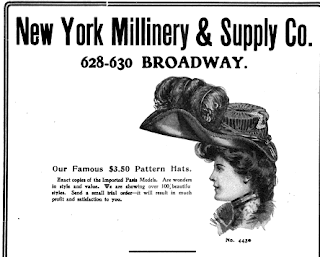 The New York Millinery & Supply Company offered the latest in women's head wear. 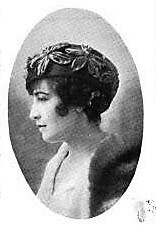 Its new line of 1904 fall and winter hats was unveiled on August 9, The firm tempted buyers saying "We are showing a most superb line of Ladies' and Misses' correct, artistic, snappy Millinery Merchandise." The announcement added "Our famous $3.50 each Pattern Hats are wonders in value--each one embodying the swellest, latest and most popular New York and Parisian ideas." The firm sub-leased space to non-competing tenants. Among them in 1907 were Millen, Aikenhead & Co. makers of men's pajamas and shirts, Eisenberg & Settel, men's overcoats and clothing makers, (which moved in on February 1), and Proser Bros. whose hand-made worsted suits ranged from $7 to $9 that year. The Steinfeld Brothers toy store was in the ground floor retail space. They were doing a brisk business in Rudolph Fleischer's popular teddy bears. Following a well-publicized story of President Theodore Roosevelt's 1902 bear hunting trip in Mississippi during which he refused to shoot a cornered bear cub, toy manufacturers like Fleischer cranked out thousands of the cuddly plush animals. Just before the Republican convention in 1907 Steinfeld Brothers ordered another 525 dozen teddy bears from Fleischer. The store, according to the New-York Tribune later, "figured that President Roosevelt would accept a third term. Teddy bears would still be a valuable investment with Mr. Roosevelt in the White House four years more"
But to the management's amazement and dismay, it was William Howard Taft who received the nomination. Despite their standing purchase order, Steinfeld Brothers told the manufacturer they would accept 20 dozen bears, but no more. Rudolph Fleischer went to court. He told reporters the bears were not bears any longer, but "white elephants." The New-York Tribune reported on July 4, 1908 "Fleischer says they broke their contract, and now he wants damages." The New York Millinery & Supply Co. remained in the building for years. Its large staff of hat makers and shop girls was entirely female. In 1913 it employed 31 women and two office workers. In the years following the end of World War I the millinery and apparel districts moved northward. The Broadway section just above Houston Street saw drastic change during the Depression years. The store space became home to the Bleecker Trading Corporation, a check-cashing operation. On the evening of September 4, 1941 Oliver Scherman was alone there when a gunman, around 45 years old, walked in around 6:15. He pushed a revolver through the grill of the cashier's cage and ordered "Give me all the money you have." The New York Times opined "He had apparently been watching the place for some time and knew when Scherman would be lone." The cashier handed him everything in the till. The thief left the checks behind, but took about $2,000 in cash. Among the upper floor tenants was the Capitol Folding Box Company, Inc. In 1945 that firm broke through the basement wall to connect to the building next door at Nos. 632-634 Broadway. Fire once again struck the building in 1951, this one on the lower floors. The architectural firm of Emery Roth & Sons was commissioned to repair the damages, including the construction of a new lobby. Another brazen robbery took place in the building just over a decade later. A holdover from the apparel manufacturing days, Rettinger Raincoat Manufacturing Company operated from an upper floor. Until the second half of the 20th century payroll was customarily distributed in the form of cash. It was a tempting arrangement for robbers. On June 24, 1953 Bertha Rosen, the company's bookkeeper, returned from the bank with the payroll. As she entered the elevator, two men pushed their way in. One brandished a pistol. They snatched the $2,569 in cash, wrapped it in a newspaper, and fled the building. Beginning in 1940 the city had been plagued by a mad bomb maker who planted 28 devices, 23 of which exploded. On December 1, 1956 six patrons were injured when a homemade bomb exploded in the Brooklyn Paramount Theater. Three days later a surge of bomb threats sent police scurrying throughout the city. The following day The New York Times reported "Thirteen new threats yesterday to bomb public places, including theatres, schools, an airlines terminal, a ship and an Army base, intensified the police hunt for a deranged perpetrator." Among the calls was that received at 1:30 p.m. warning that a bomb was set to explode at No. 630 Broadway. That call was a hoax and no device was found. By the last quarter of the century this section of Broadway was dingy and neglected. In 1981 Nos 620-630 Broadway was home to the Commercial Plastics and Supply Corporation, described by The New York Times as "the largest of a half-dozen plastics merchants clustered together." But the neighborhood, soon to be known as Noho, was on the brink of rediscovery. As former loft buildings were restored and rehabilitated, No. 628-630 received a make-over in 1990. Today the strikingly exotic cast iron building is as remarkable as it was in 1883. I have a very old Early 1800-57 STEAMER TRUNK.. solid wood ...very well made . It's has a label on the inside ..Fancy looking..says" X. HUERSTEL, TRUNK MANUFACTURER. no.630 BROADWAY,near BLEEKER-ST. NEW-YORK. Then the label goes into detail about the to trunks they make. I can't find anything on X.HUERSTEL..TRUNKS...just this address..I think he died 1857.. any info .. would be great.. ! And trunk possibly for sale ...but just looking for info..Contact... Blann0007@hotmail.com not the Google mail.